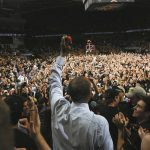 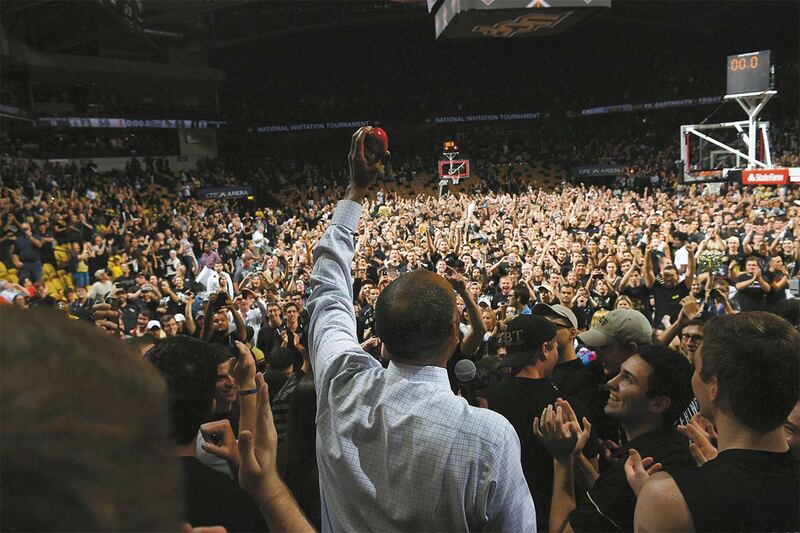 March 15 – Surrounded by the first sold-out crowd in UCF basketball history, Coach Johnny Dawkins holds up an apple after the Knights defeated the Colorado Buffaloes, advancing to the NIT quarterfinals in New York City. 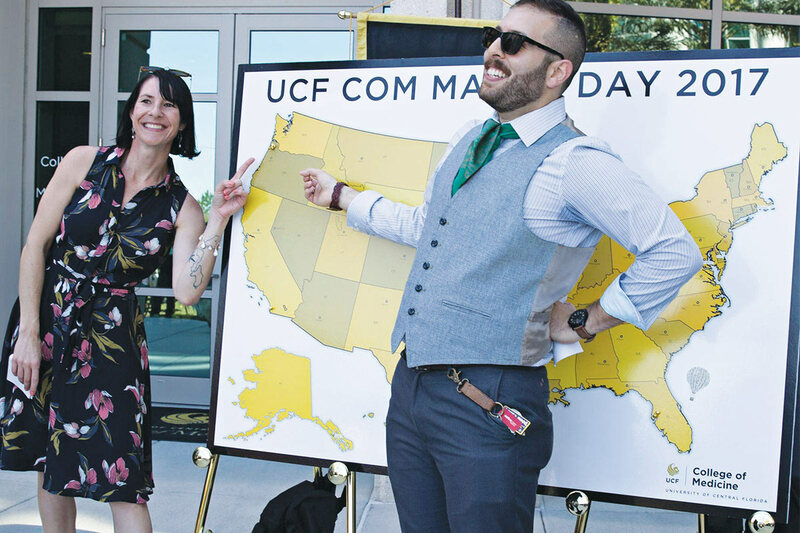 March 17 – During UCF’s Match Day, 113 of this year’s 114 graduating medical students placed pins on a map, indicating the residency programs that accepted them. 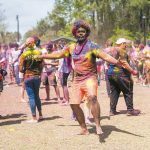 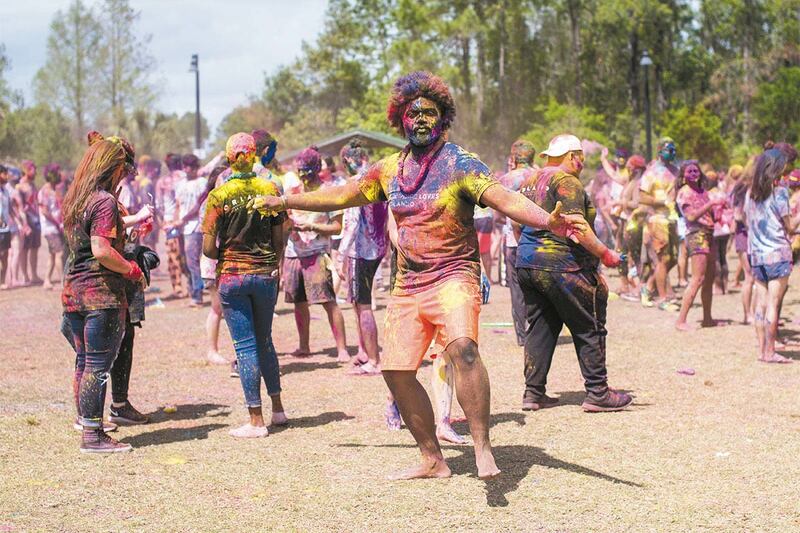 March 25 – In celebration of Holi, the Hindu festival of color, students covered one another in colorful powder. 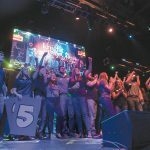 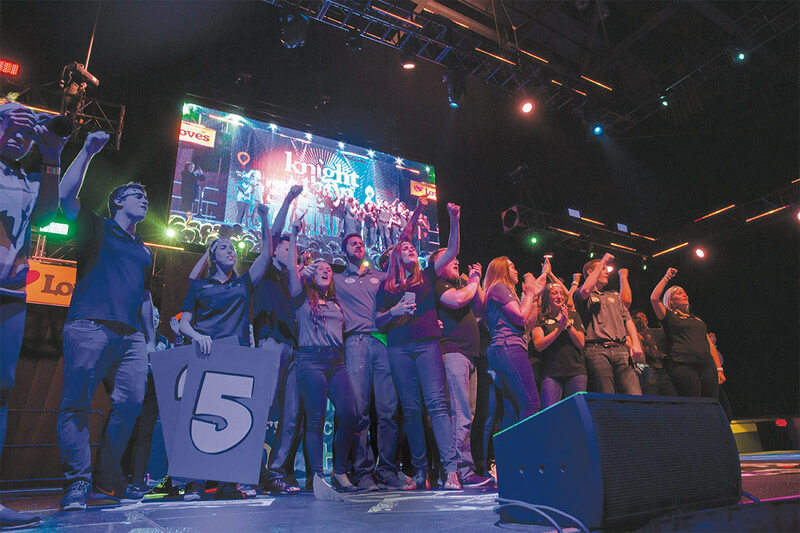 April 2 – Students raised $1,250,961 — the largest amount in the event’s history — for the Children’s Miracle Network at Knight-Thon 2017. 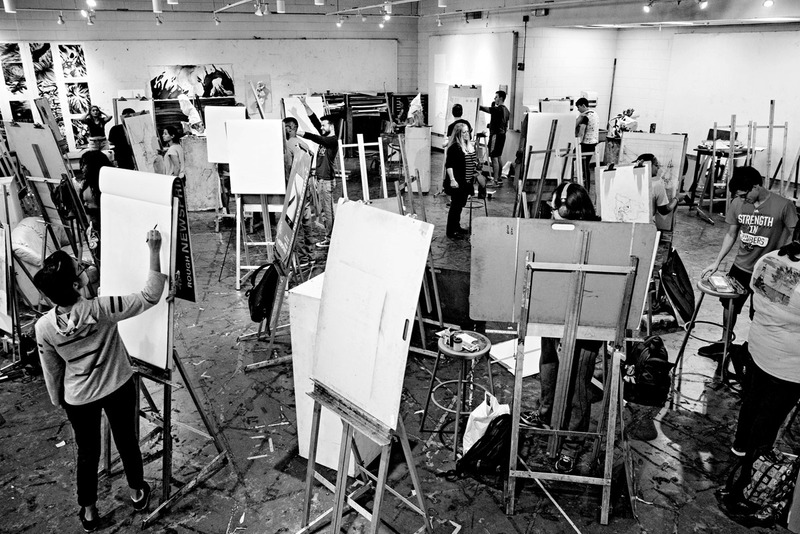 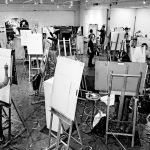 April 20 – Aspiring artists learn fundamentals during an introductory drawing class taught by Lecturer Debi Leitch in the Visual Arts Building. 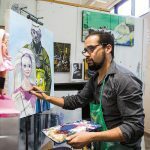 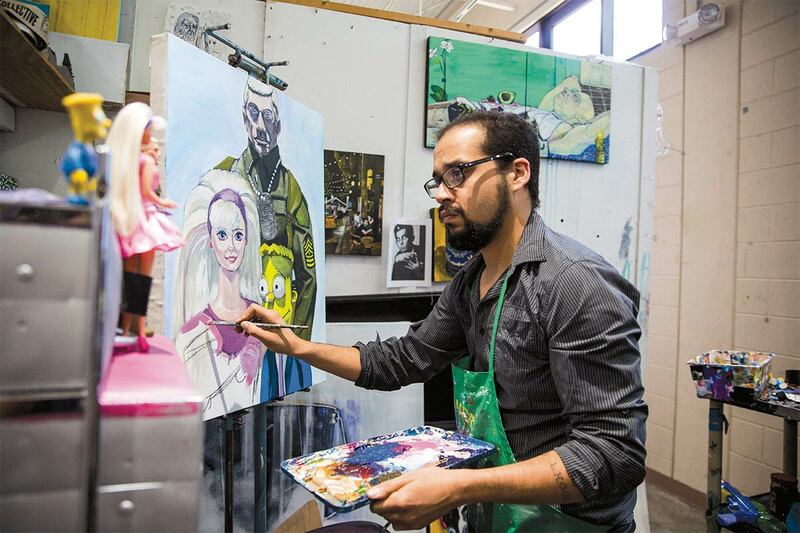 April 20 – Art student Christopher Rivera put the finishing touches on his artwork during an advanced painting class. 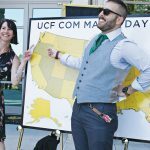 April 22 – Country music star Lauren Alaina headlined UCFastival and joined Knightro on the field for the spring football game. 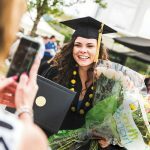 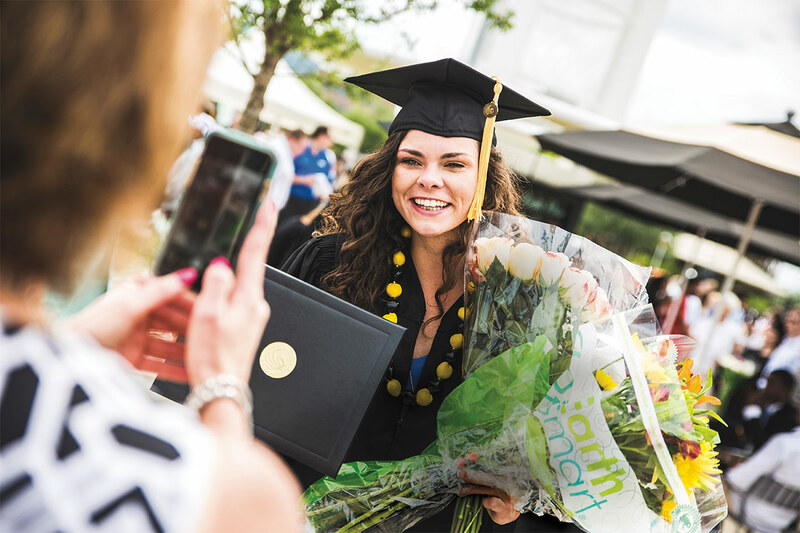 May 4-6 – Nearly 7,900 students received their diplomas from UCF during this year’s spring commencement ceremonies. 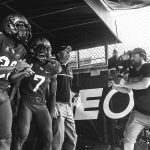 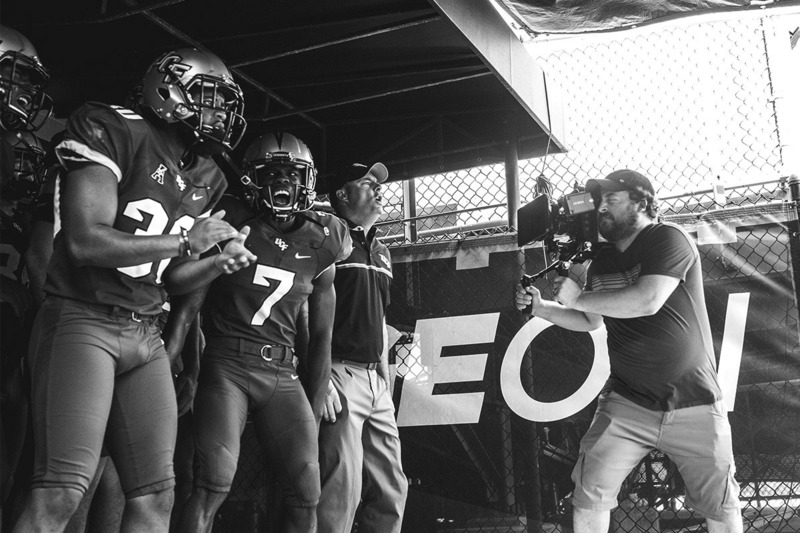 May 24 – Jon Strong ’11 and his company Strong Films recorded scenes for a new TV commercial, which will air during football games this fall.